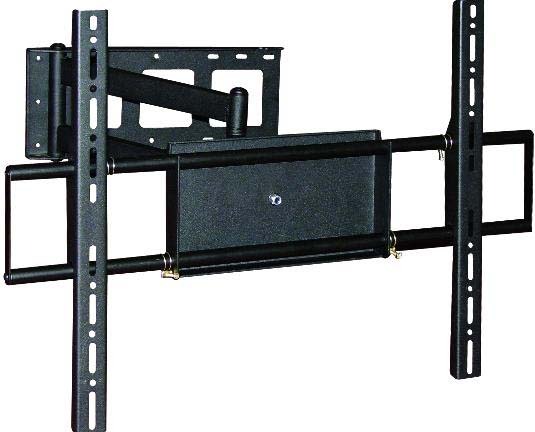 More on the Haropa Extendable Tilting Wall Mount for 32-50 inch Screens HPPL-A5024 below. +15 to -5 degree tilt range. A low-profile design, sitting just 5" from the wall when closed. Solid heavy gauge cold steel construction. A durable black powdercoat finish. 30-50" Plasma or LCD TVs up to 110 pounds.